"And the "Virginia" view, even in the 1780s, is one of "separation." --John Adams, Inaugural Address, In the City of Philadelphia, Saturday, March 4, 1797. Both houses of Congress offered an "injunction" to promote Christianity. 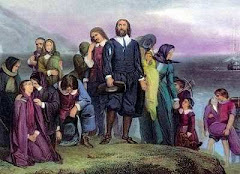 Neither Adams, or the democrats in Congress, saw a problem promoting Christianity with government. Later, JA wrote Religion was the foundation of our republic. Tucker's argument and those of the democrats was founded on a false premise. Contrary to Tucker, Reason has nothing to do with salvation. Salvation is above man's reason and he has nothing to do with it. Faith is a gift and no one can access it by reason. Tucker was an arminian. It's just a rehash of a centuries old argument. "That "religion, or the duty we owe to our Creator, and the manner of discharging it, can be dictated only by reason and conviction, not by force or violence." In vain, therefore, may the civil magistrate interpose the authority of human laws, to prescribe that belief, or produce that conviction, which human reason rejects"
This statement is wrong biblically, as well as practically. God can save someone with human laws, without human laws or even in the womb. Yes, God can use laws to convince. "Hence the numberless martyrdoms and massacres which have drenched the whole earth with blood, from the first moment that civil and religious institutions were blended together." This is another false statement. Constantine stopped persecuting Christians and that peace continued for many years thereafter. Not all democrats, yet alone northern democrats, believed this flawed doctrine, but it slithered its way into the universities. Augustine and the reformers obliterated Tucker's ideas. Many of the High Federalists did the same. Yes there is this Jeffersonian concept of "Apriarianism"; it's this enlightenment concept where the Founders picked and chose in a cafeteria sense that which made sense to them while discarding the rest. So the Calvinist tradition, ala Rutherford, may have offered them honey in areas like resistance under law in the face of Romans 13. But it offered nothing good on liberty of conscience. 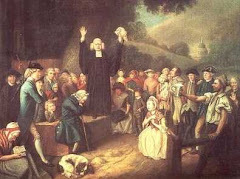 The Protestant traditions that predated the founders' enlightenment era that originally anticipated freedom of conscience was more from the Arminian baptist tradition (tracing to Roger Williams) and the Quakers. Though the FFs got their ideas on liberty of conscience from figures like Locke and lesser knowns such Burgh.